The chairman of the House Financial Services Committee blasted the Dodd-Frank Act’s Volcker Rule as “a solution in search of a problem” Wednesday at a committee hearing. 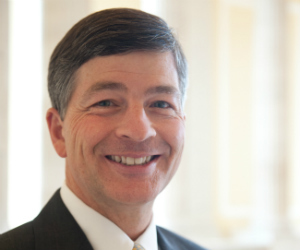 Rep. Jeb Hensarling (R-Texas) said the rule, which passed in December, would create undue regulatory burdens on “job creators and capital markets” and cost jobs. In simple terms, the rule bans banks that accept federally insured deposits from speculating with that money, thereby keeping investment banking essentially separate from retail banking activities like mortgage lending. But Hensarling said the 932-page rule heaped needless regulatory burden on financial institutions in return for minimal benefit. “Of the 450 financial institutions that failed during or as a result of the financial crisis, not one failed because of proprietary trading,” Hensarling said. “In fact, financial institutions that varied their revenue streams were better able to weather the storm, keep lending and support job growth. Hensarling insisted that the rule, far from stabilizing the economy, would have a chilling effect on economic growth.